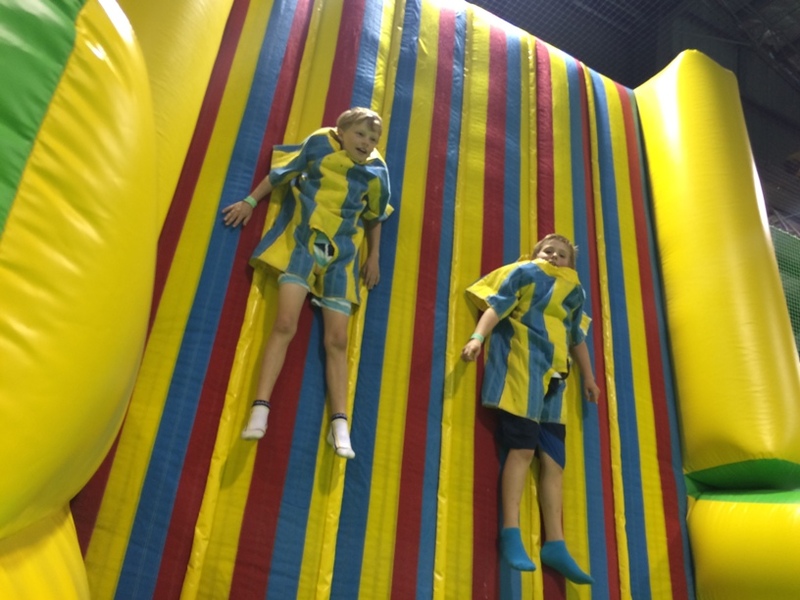 We visited Inflatable World Shenton Park on this occasion (all 4 locations are fairly similar they just operate at different hours) for my son's 9th birthday party. 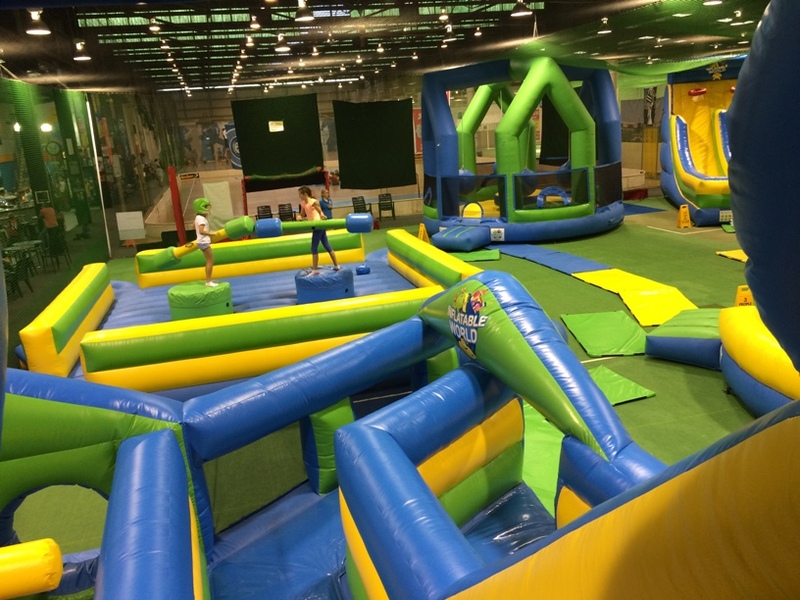 We only had a few friends join us so we didn't book, we were able to just turn up and pay entry for each for child, and they got two hours of jumping fun. 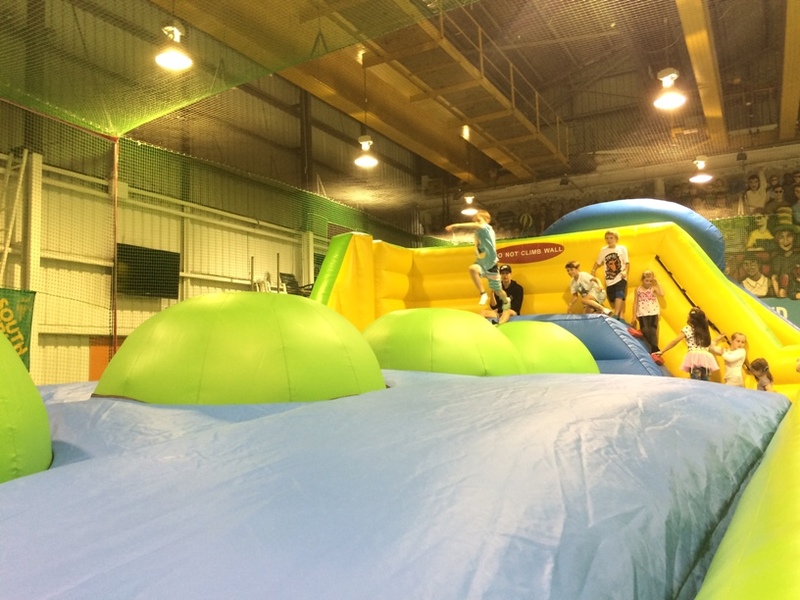 This one was the unanimous favourite, it's a "Wipe Out" style obstacle, where you need to jump from ball to ball to the end. If you fall off you need to run off and try again. The arena is separated into two sections, one for younger children. While bigger kids are allowed to play in here, if there are lots of younger children playing they may be asked to kindly move to the bigger kids area, just to ensure the younger ones have a safe area to play in. Another favourite was the sticky wall, the staff dress the kids in velcro suits and they can throw themselves at the wall to try and stick. The staff also lift the kids up and stick them on the wall. It's hilarious watching them squirm trying to get down. 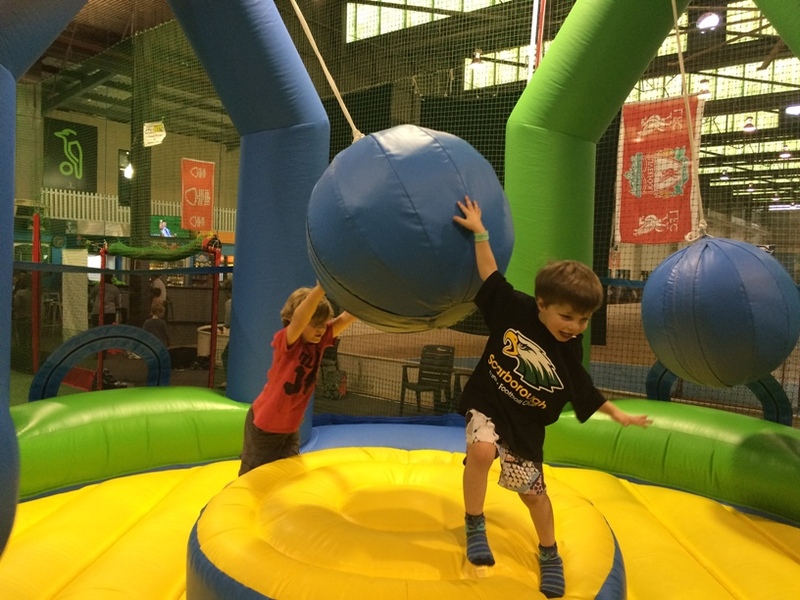 The inflatable wrecking ball arena was another favourite. The centre piece is quite wobbly and others stand on the side and try and knock them off with the balls. 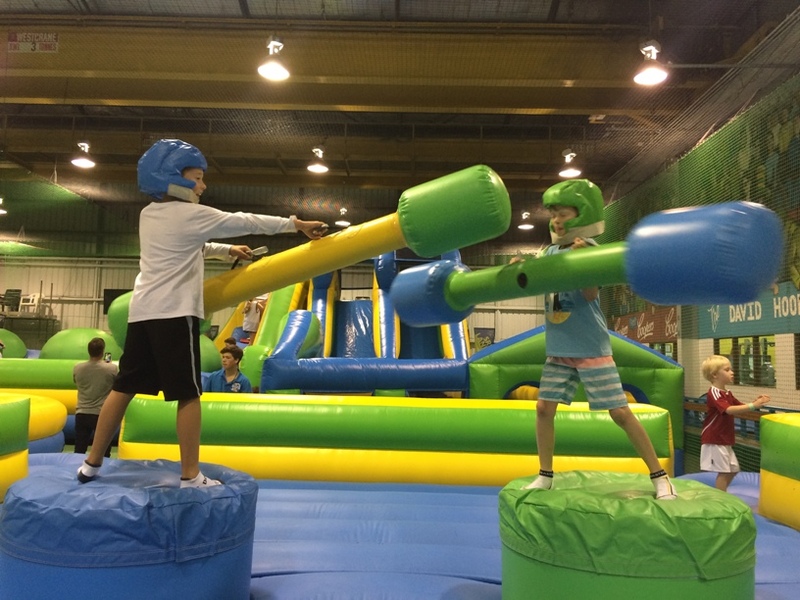 A great one for families to play together to see if the kids can knock Mum or Dad off! Also check their facebook page too before you go as they can have last minute changes to their opening hours if there area is required for sporting fixtures. 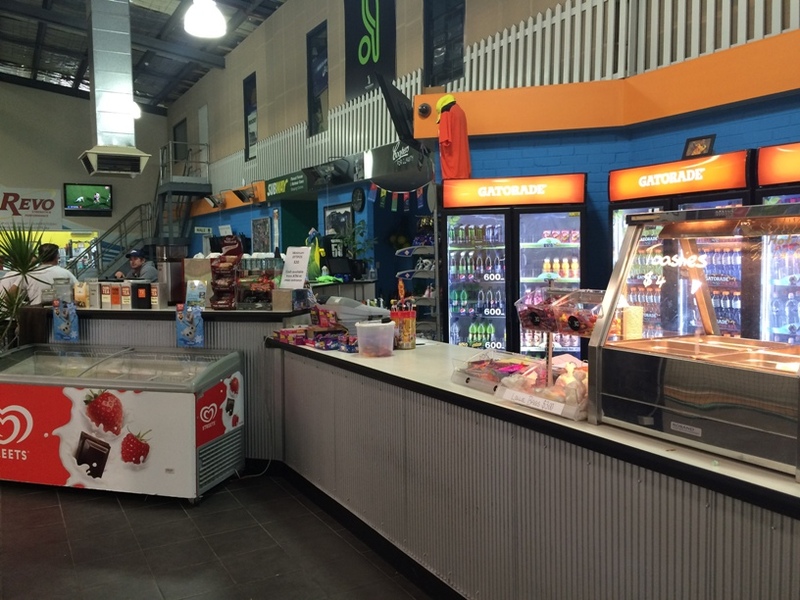 Basic hot food, snacks and cold drinks are available to purchase. You can BYO your own snacks, but no drink is to be brought onto the premises. 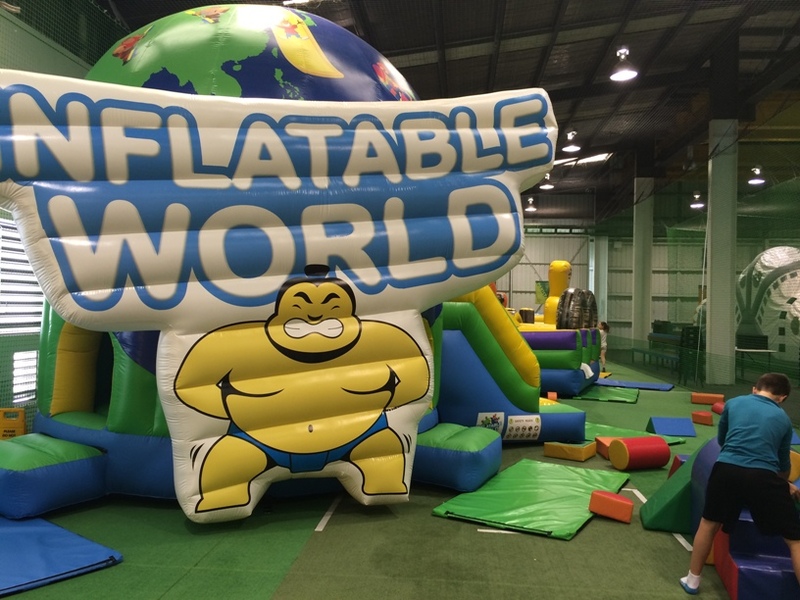 We loved Inflatable World, parents can join in, you just need to pay the entry fee ($16 - 5yrs+ & $8 - under 5 yrs) and this gives you 2 hours of inflatable, bouncy fun.. believe me this is more than enough - you are guaranteed to take home very tired kids!